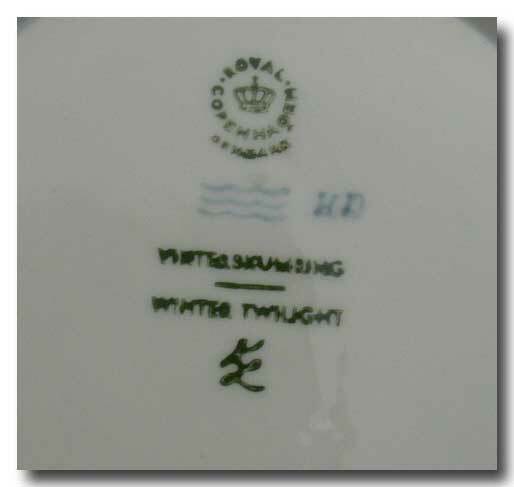 The 1974 Royal Copenhagen Christmas plate " WINTER TWILIGHT" designed by Kai Lange is in excellent condition with no chips, cracks or crazing. 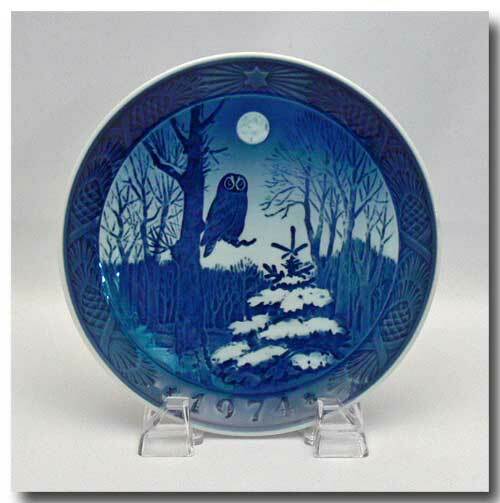 Size approx: 7 1/8 inches in Diameter. 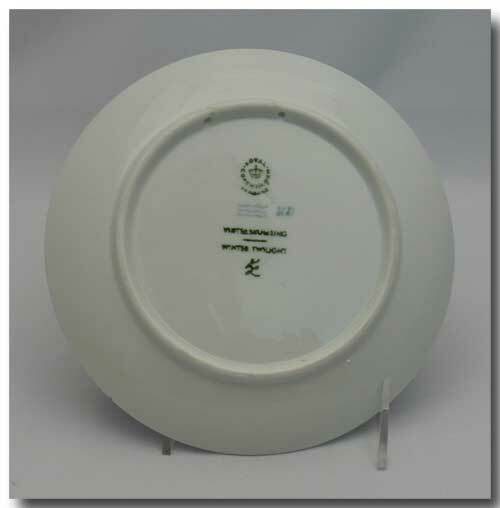 Please note: Any discoloration is only in the photos.